Haywood Middle School held its National Junior Beta Club induction ceremony on Tuesday, January 27, welcoming 35 new members into the organization. Principal Yvette Blue welcomed everyone to the ceremony that was conducted by Beta Club officers and other senior members. Participating were J. T. Lea, Sam Banks, Titus Newble, McKenzie Kelly, Iyana Taylor, Bendy Yuan Zhao, Colbie Killen, Alex Williams, Isaiah Polk and Ashlei Williams. Presenting a charge to new members were Haywood High School Beta Club members Will Clinton and Milena Mans. Chaoyue Yuan spoke as a representative from the new members. Also participating was Assistant Principal Morris Long. New members are Shakayla Alford, Ann Banks, Carleigh Cannon, James Calton, Elizabeth Carpenter, Reed Chapman, Shaqwan Currie, Anna Evans, Laurynn Ferrell, Angeline Ferrer, Aniya Flournoy, Ahmadia Hines, Elizabeth Kirby, Kaleb Kutz, Shelby Littlejohn, Walt Lonon, Briana Mann, Andrew McBride, Madeline McCage, Molly McCage, Angel Medina, Garrison Parker, Dyriah Pickens, Kyeth Powell, Thomas Pugh, Carl Rutkowski, Velma Santos, Taylor Shields, Julia Snowden, Jakobe Swift, Katie Walls, Jasmine Wellington, Nyana Whitelaw, Rianna Woods and Chaoyue Yuan. Senior members of the HMS Beta Club are Sam Banks, Treveon Banks, McKenna Barken, Riley Barr, Jordan Bell, Carlisle Clagg, Victoria Colbeck, Jordan Cone, Lashadia Conner, Tyler Dickens, Jamya Douglas, Chris Foster, Leslie Fox, Bria Grant, Anna Haynes, Calen Johnson, Madison Kellym, McKenzie Kelly, Colbie Killen, J. T. Lea, Bond Lonon, Karsen Neal, Titus Newble, Everette Pettigrew, Jackson Pettigrew, Isaiah Polk, Breonica Reed, Ellie Riddle, Emily Russell, Christine Siegler, Hunter Smothers, Ellington Steele, Iyana Taylor, Jaylon Taylor, Massai Twitty, Kylon Washington, Shanya Whitelaw, Kirsten Watson, Alex Williams, Ashlei Williams, Bendy Yuan Zhao, Alyssa Allen, Gemiah Bell, Cameron Bond, Rebecca Davis, Chloe Fry, Mia Gaietto McKinney, Alexandria Goodman, Iverson Hines, Hannah Littlejohn, Abigail Meck, Preston Moore, Benjamin Naylor, Chandler Nixon, Alexis Ocegueda, Charles Phillips, Myles Pickens, Carsen Pittman, Lauren Qualls, Riley Simmons, Noah Staggs, and Amanda Watson. Sponsors for the Beta Club are Jane Jameson and Mary Jane Williams. 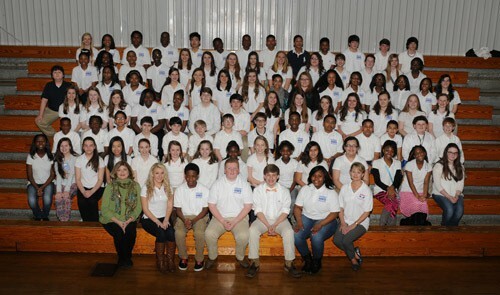 New members this year bring the total number of members in the HMS Junior Beta Club to 97. Sponsors for the club are Mary Jane Williams and Jane Jameson. 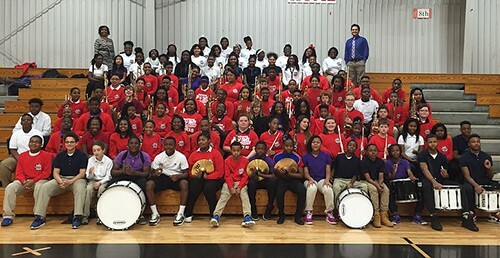 The link to the HMS Band Page is http://jasonaspraggins.wix.com/hmsband.